In the world of fashion one cannot forget that which inspires it, or that which comes together because of it. 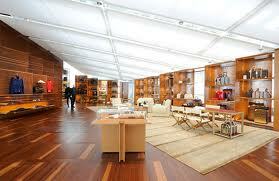 We Dandi’s would have nothing to wear but from our own devices if it weren’t for the inspired designers of the world. ‘Tis the season to be thankful and aware of those things in our lives that bring us more life and creative delight. 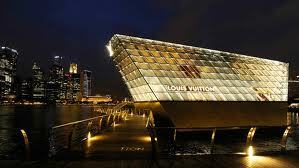 I am inspired by many people, events and things and architecture and interior design are right up there so I had to show you these magnificent maisons that Louis Vuitton is creating all over the world. Truly the ultimate in luxury. 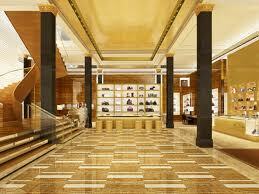 Louis Vuitton has created 13 grand maisons to go with it’s collection of 460 stores worldwide and Sydney will be welcoming it’s own with a grand opening Dec 3rd. These unique stores on the grandest scale are as much about the brand the architecture and they are located in fabulous cities from Singapore to Paris (of course), to Milan (of course twice). At the Australian store they have even done the homework on how Dandi’s shop (on the weekends) and what they shop for the most (shoes) so they put the men’s department on the first floor, hoping to inspire our sweeties to shop for us during the week, and have designed 10 different chair designs for optimal moments of trying on footwear, making sure to take in consideration things like the tilt of the chair to get your shoe on and off, to the height of the chair for different size Dandis. Now that’s service.